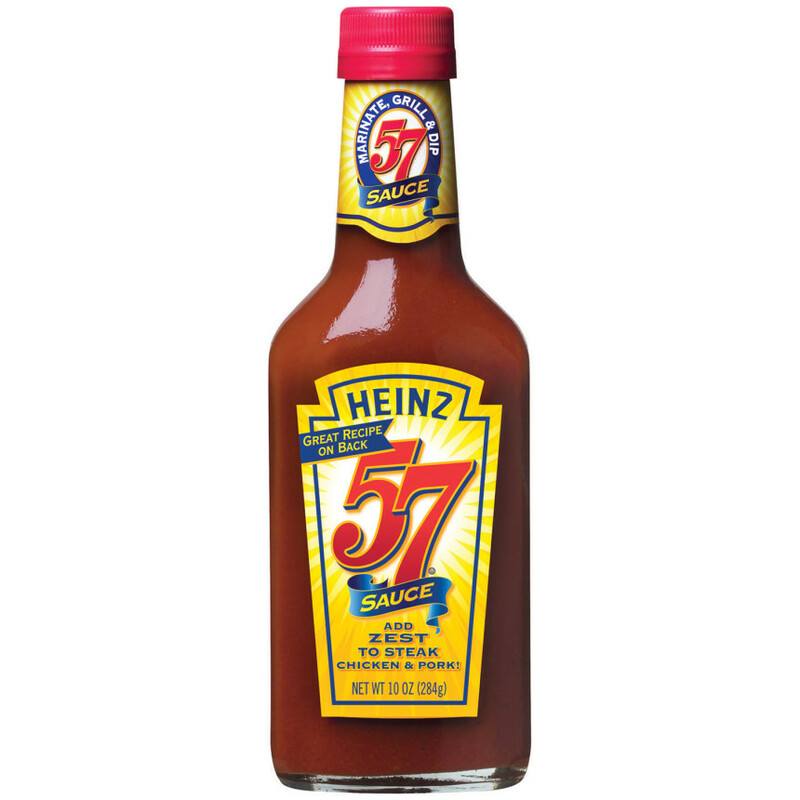 Trusted since 1869, the makers of the original heinz 57 sauce bring you a new premium sauce just for steaks. Introducing new 57 steak sauce made with lea and perrins - with the perfect balance of bold, steak flavor you'd expect to be served at america's top steakhouses. TOMATO PUREE (TOMATO PASTE, WATER), HIGH FRUCTOSE CORN SYRUP, MALT VINEGAR, LEA & PERRINS WORCESTERSHIRE SAUCE (DISTILLED WHITE VINEGAR, MOLASSES, WATER, SUGAR, SALT, ONIONS, ANCHOVIES, GARLIC, CLOVES, TAMARIND EXTRACT, NATURAL FLAVORINGS, CHILI PEPPER EXTRACT), DISTILLED WHITE VINEGAR, SALT, MODIFIED FOOD STARCH, CONTAINS LESS THAN 2% OF THE FOLLOWING: RAISIN JUICE CONCENTRATE, MUSTARD FLOUR, CARAMEL COLOR, SOYBEAN OIL, TURMERIC, SPICES, APPLE PUREE, SODIUM BENZOATE AND POTASSIUM SORBATE (PRESERVATIVES), GARLIC POWDER, ONION POWDER, NATURAL FLAVORS.